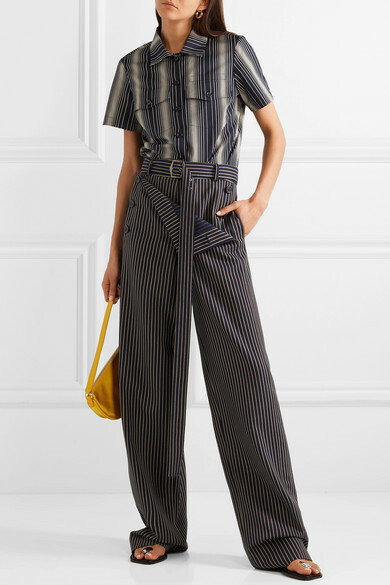 Sies Marjan's Sander Lak references his childhood memories for the label's Spring '19 collection - the stripes and the tailoring throughout the lineup are influenced by the outfits his father used to wear. 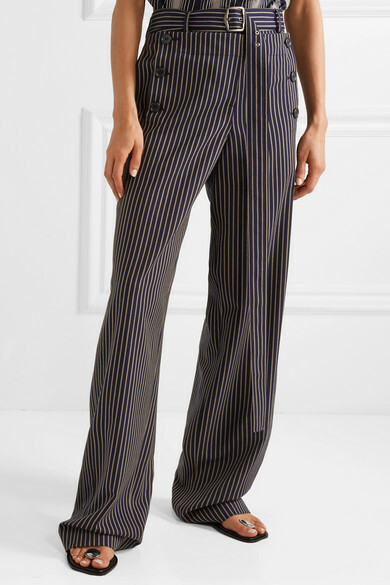 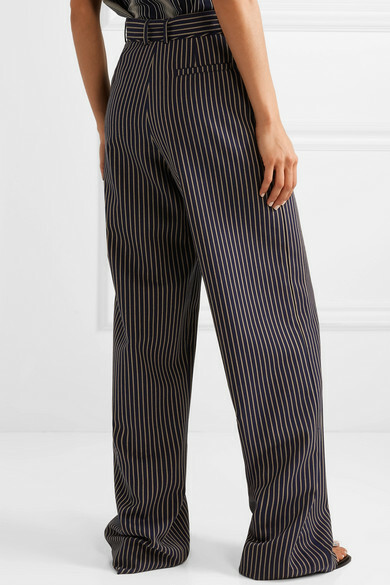 These 'Anouk' pants are cut from pinstriped twill for a straight-leg fit, with a sailor-style paneled front, slash pockets and an included belt. 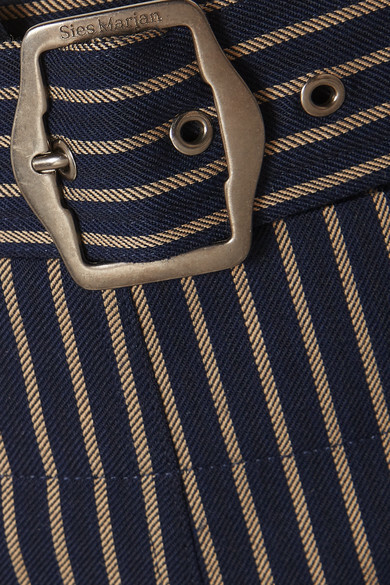 Wear them with boxy shirting.